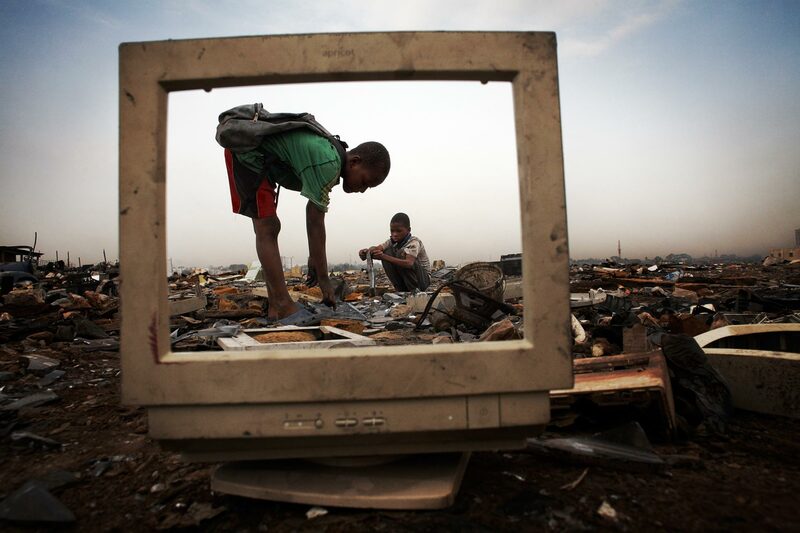 Children break apart CRT monitors to salvage metal from inside. Many children work at the dump salvaging metals which they sell to middlemen. They do not wear any protective clothing and so expose themselves to lethal doses of hazardous chemicals like mercury and lead.